35 years ago, director Ridley Scott delivered Blade Runner, which is one of the most influential and highly-praised sci-fi movies ever made. Now, director Denis Villeneuve is getting ready to unleash his sequel, Blade Runner 2049, which has unbelievably massive expectations placed upon it. So how'd he do? The first critical reactions have arrived online and you can rest easy, Blade Runner fans. Blade Runner 2049 is being hailed as a masterpiece and one of the best movies of 2017. Even though Ridley Scott didn't return to direct Blade Runner 2049, he is serving as an executive producer. But it is all on the shoulders of Denis Villeneuve, who has asserted himself as a force in Hollywood, with movies like Arrival, Sicario and Prisoners earning him a ton of praise and respect. But his first venture into huge franchise filmmaking doesn't sound like it suffered at all. According to Fandango's Erik Davis, it's nothing shy of a visually amazing masterpiece. "Blade Runner 2049 is sci-fi masterpiece; the kind of deep-cut genre film we don't see anymore. Visually mind blowing, absolutely fantastic"
Blade Runner 2049 is set thirty years after the events of the first movie, which means that it will be taking full advantage of the long time gap. 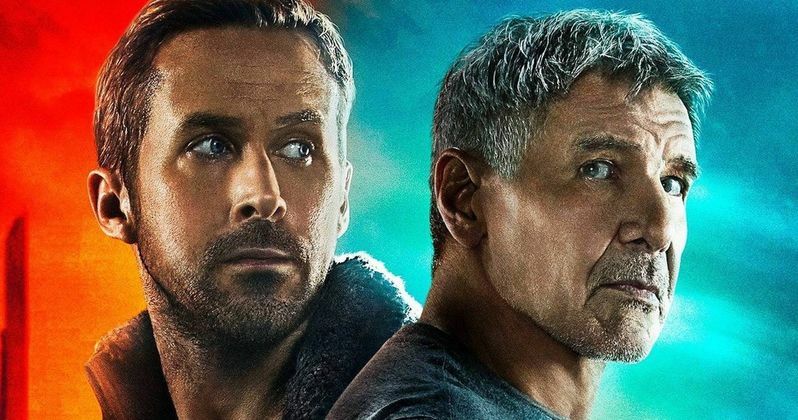 The sequel centers on a new blade runner, LAPD Officer K (Ryan Gosling), who unearths a long-buried secret that has the potential to plunge what's left of society into chaos. This discovery leads him on a journey to find Rick Deckard (Harrison Ford), a former LAPD blade runner who has been missing for 30 years. Collider's Steve Weintraub agrees that the movie is a masterpiece, but he also cautions that knowing anything more about the movie ventures into spoiler territory. "Everyone bow down to Denis Villeneuve. He's done the impossible and delivered a huge home run with 'Blade Runner 2049'. Loved it. Blade Runner 2049 is absolutely loaded with spoilers. Even the plot of the film is a spoiler. If you are going to see it avoid reviews. Even if you have no interest in the film, the breathtaking Cinematography by Roger Deakins is worth the price of admission. He's a God. You do not have to have seen the original 'Blade Runner' to watch 'Blade Runner 2049'. But it will def make the film better if you have." The full reviews for the movie have not yet made their way online, so there's no real need to be concerned about spoilers at the moment. But even these brief social media reactions make it hard to believe that they will be anything but glowing. CinemaBlend's Erik Eisenberg goes so far as to say that Blade Runner 2 is the best movie of 2017. "@BladeRunner 2049 is phenomenal. Visually mind-blowing sci-fi with noir roots shining through in a tight, twisty mystery. Best of 2017 so far. Denis Villeneuve is unquestionably one of the elite working directors & there's no excuse if Deakins doesn't win the Oscar #BladeRunner2049." So, if these reactions are to be believed, Blade Runner 2049 checks every box it needs to check. It's visually amazing, deep sci-fi. It connects to the original but those who haven't seen the original can see this and process it just fine and, most importantly, it sounds like it is worthy of the legacy of the original. Blade Runner 2049 arrives in theaters on October 6. You can check out all of the early social media reactions to the movie for yourself below. I’ve seen #BladeRunner2049. I looks amazing, characters and performances are strong, stays true to the original but there are flaws.